Samsung will be bringing a new tablet to Mobile World Congress this year, the first update to the flagship Galaxy Tab S line in nearly 18 months. It’s been a long time since there’s been any news about a premium Android tablet. What was once a burgeoning product category has fallen flat as high-end phones become bigger and more powerful, and most new tablets that have been released over the past year are either targeted at budget buyers or children. But with the Galaxy S8 delayed until the spring, Samsung has all but confirmed it will be bringing a new high-end tablet to Mobile World Congress this year. And it looks to be a solid upgrade. The Galaxy Tab S2 has been on shelves since 2015, so Samsung has had a lot of time to think about what it wants from its flagship Android tablet. And while most people will probably still be talking about the Galaxy S8 teaser Samsung is expected to unveil at its MWC event, the Tab S3 isn’t a throwaway release. With the Galaxy Tab S2, Samsung offered two sizes, an 8-inch model and a 9.7-inch one. According to a report from South Korea-based Naver News, the Tab S3 will reportedly narrow down those choices to just the bigger size, with a 9.6-inch, 2048x1536 display. And if you like the design of the S2, you’ll love the Tab S3. Based on the rendering that has been leaked on German-based WinFuture.de, the tablet looks to be nearly identical to the S2 it will replace, with a pill-shaped home button/fingerprint scanner flanked by a pair of standard navigation buttons. However, it is expected to be thinner than its predecessor, which is only 5.6mm thick, and come in black and silver, rather than the standard white. 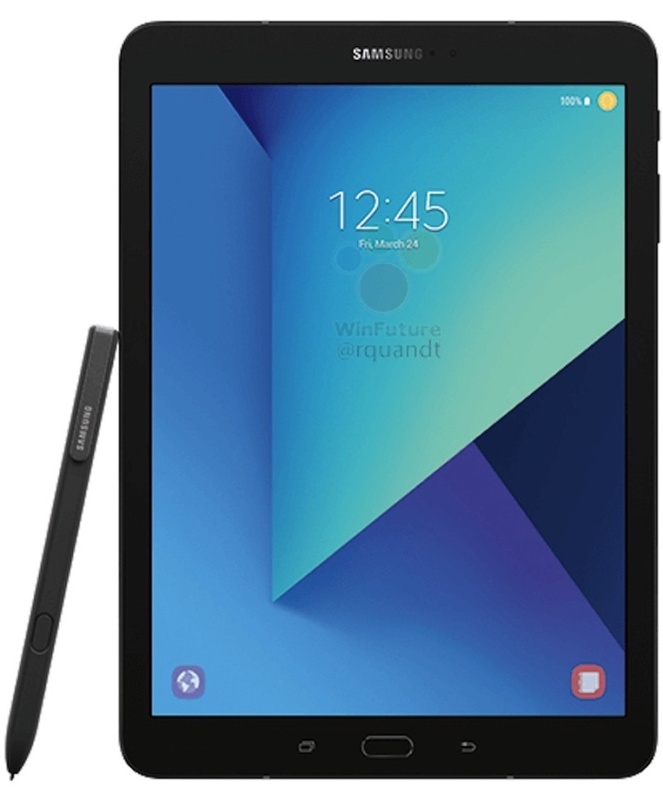 The Galaxy Tab S3, seen here in a leaked rendering, looks a lot like the Tab S2. But while it might look like a Tab S2, the S3 will get a significant upgrade under the hood, as you’d expect from a tablet that hasn’t been updated in nearly a year and a half. It starts with the chip, and the new tablet is rumored to sport a Qualcomm Snapdragon 820 processor, a change from the Exynos chip that was used in the S2. Additionally, it will get 4GB of RAM (up from 3GB in the S2), as well as a 12MP rear camera and 5MP front camera (bumped from 8MP and 2MP, respectively). And as always, it will come in both Wi-Fi and LTE variations. Additionally, the tablet will ship with Android 7.0 Nougat, though it's unclear whether Samsung will bring any additional features for the larger screen. One of the biggest issues with Android tablets is their lack of larger-screen features and app support, so we'll have to see what Samsung has cooked up to spice up the experience. The most interesting addition to the year’s tablet, however, could be the inclusion of an S Pen. While it wouldn’t be the only Samsung tablet to ship with the stylus, it would be a first for the Galaxy Tab S line. Unfortunately, Sammobile has reported that there isn’t a Note-style slot for it on the device, but the tablet will ship with an S Pen in the box, which could position the tablet as a more professional companion to the upcoming Galaxy S8. 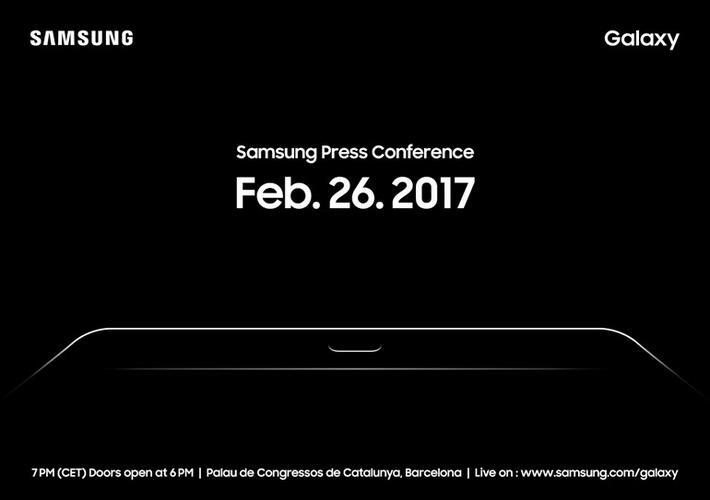 Samsung has announced that it will be unveiling its new device at Mobile World Congress on Feb. 26 at 7:00 pm CET (1 p.m. EST) at the Palau de Congressos de Catalunya in Barcelona, Spain. According to the Naver report, the tablet is expected to cost a bit more than the $500 S2, likely coming at $600. It’s not entirely clear from the rumors we've heard why Samsung would be charging more the S3, though the inclusion of the S Pen would certainly add to the cost.